While we are waiting for the 650 Twins, Royal Enfield has silently introduced the 2019 Bullet 350 in India which comes with a few changes. 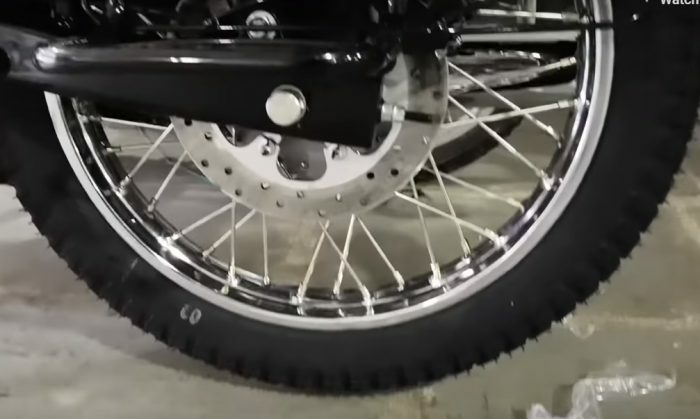 The 2019 Bullet 350 gets a Rear disc brake which goes along with the new rectangular swingarm. Electric start is on offer apart from some minor cosmetic changes. However, what is surprising is the omission of ABS. Many REs have already started getting the safety tech and Bullet 350 is also expected to get it soon. There appears to be no change to the 346cc, 19.8 bhp, 28 Nm single cylinder air-cooled engine which is paired with a 5-speed transmission. The motorcycle now costs Rs 1.28 Lakhs (ex-showroom in Mumbai) and has already started reaching dealerships. The following walkaround video has been shared by our reader Abinash Panigrahi which confirms the development. There is another video of the motorcycle he has posted on his channel. 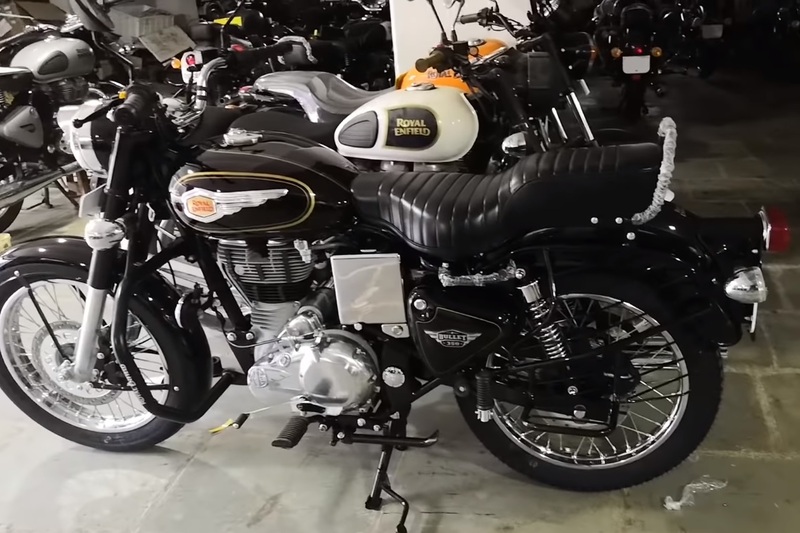 Recently, there was a big controversy on Royal Enfield’s Classic 500 Pegasus Edition (which did not have ABS) when the company followed it up with Classic 350 Signals Edition, which costed way lesser and was shod with ABS. What followed was a series of reports of disgruntled customers which are now being reportedly addressed to by the company’s dealerships. At the ongoing EICMA, Royal Enfield has surprised everyone with the Concept KX which carries a massive 838cc V-Twin from the brand, however, it is not coming anytime soon!